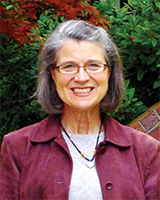 Susan Eggers, Professor Emerita of Computer Science & Engineering, joined the department in 1989. She received a B.A. in 1965 from Connecticut College and a Ph.D. in 1989 from the University of California, Berkeley. Her research interests are in computer architecture and back-end compiler optimization, with an emphasis on experimental performance analysis. With her colleague Hank Levy and their students, she developed the first commercially viable multithreaded architecture, Simultaneous Multithreading, adopted by Intel (as Hyperthreading), IBM, Sun and others and the winner of the 2010 and 2011 ISCA "test-of-time'' award. In 1989 Professor Eggers was awarded an IBM Faculty Development Award, in 1990 an NSF Presidential Young Investigator Award, in 1994 the Microsoft Professorship in Computer Science and Engineering, and in 2009 the ACM-W Athena Lecturer. She is a Fellow of the ACM and IEEE, a Fellow of the American Association for the Advancement of Science, and a member of the National Academy of Engineering and the American Academy of Arts and Sciences. Professor Eggers approaches her free time "with a vengeance". She is a bona fide food snob, is an avid gardener and landscaper, and enjoys "retirement" exercise (golf and physical therapy). Recently she shot her first hole-in-one!